The raspados, or Colombia snow cones or shaved ice, I used to eat in Colombia when I was a kid were very different to the ones they sell nowadays. They used to sell them in a small snow cone paper cups and even though they didn’t have a huge variety of syrup flavors, we still enjoyed them, especially when we waited for our bus ride to take us home after a long day of swimming at the pool. The truth is, the first time I saw the “modern” raspados, as I like to call them, was on T.V. on those commercials for Colombian restaurants that are located in New York and Florida. They always look so beautiful with all those colors and all kinds of syrup flavors. So, when I had the chance to visit Florida I couldn’t help myself and got one. The good thing is I loved it, but the bad thing is they charged me almost $5 dollars for a plastic cup filled with ice and a little bit of syrup and sweetened condensed milk. That’s when I thought “I can make this at home for less money!” LOL. 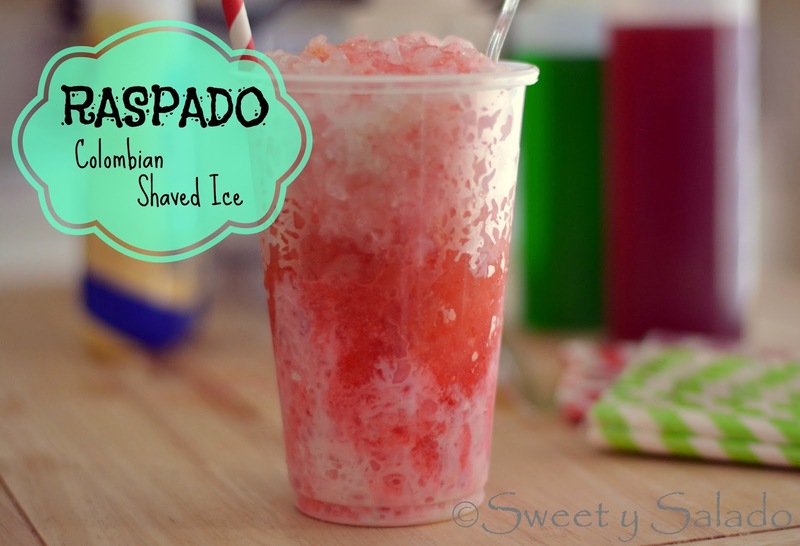 And that’s how I started making these delicious raspados at home. 1. Crush the ice cubes in a food processor or blender. 2. Cover the inside of a plastic cup with sweetened condensed milk. 3. Add the crushed ice to the plastic cup until it is almost full. 4. 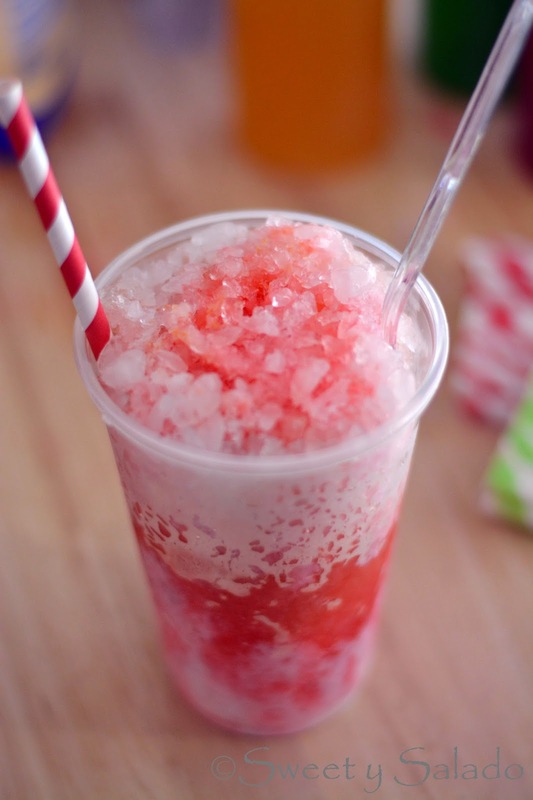 Add the snow cone syrups over the ice. 5. Cover with one or two more layers of ice. 6. Add more snow cone syrup and more sweetened condensed milk. 7. Serve immediately with a straw and a spoon. So yummy!! Can't wait to try them at homeee!! They're super, super good and so easy to make at home. Thanks for stopping by! I believe they're 12 oz. plastic cups.